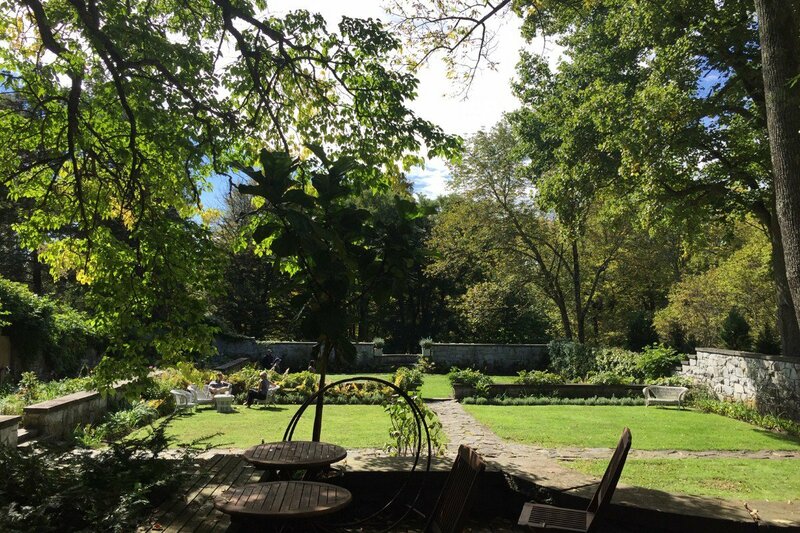 Grace Farms in autumn. Photo courtesy of Grace Farms. 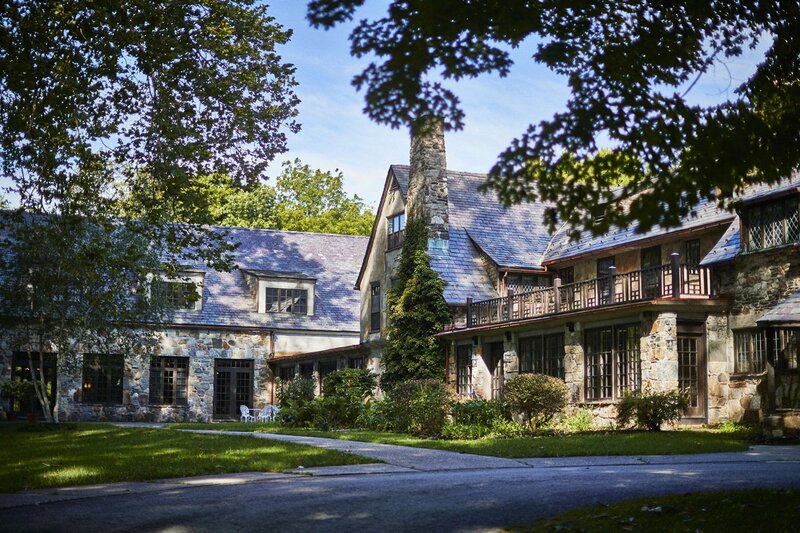 It seems like every New Yorker is looking for a weekend that involves nature, culture, design, history, good food, and a manageable driving distance. Sounds like a tall order, but it can all be found on the New York-Connecticut border. NEW ENGLAND — In the mind’s eye, a weekend escape to New England should involve changing foliage, forested mountains, Colonial architecture, and starched, button-down shirts. Activities should include sitting in Adirondack chairs, relaxing beside a roaring fire, eating a fine meal surrounded by antiques, engaging in the natural world, taking in art at a leisurely pace, and daydreaming about living a peaceful, catered-to countryside existence — at least until it’s time to join the masses driving back to the city on Sunday night. 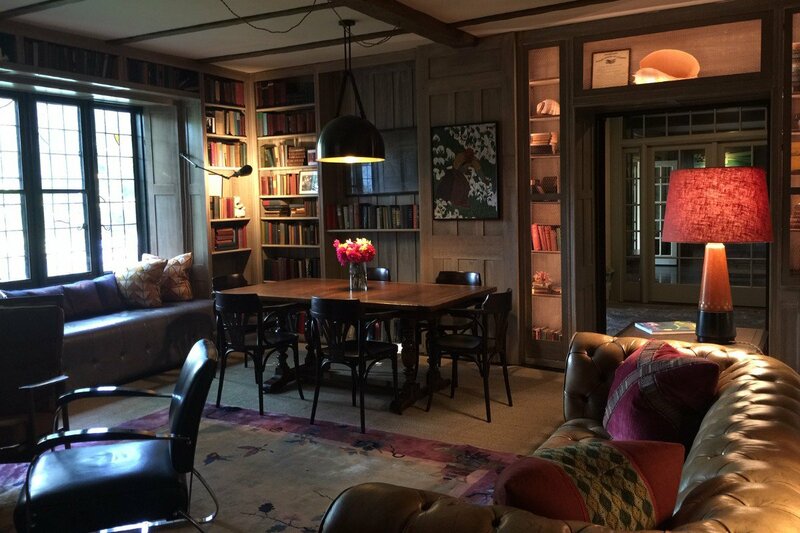 Troutbeck manor house. Photo courtesy of Troutbeck. One of Troutbeck's sunny garden lawns. Photo by Jeralyn Gerba. Hard to choose just one place to sit. Photo by Jeralyn Gerba. My husband, toddler, and I checked in on the evening of an art opening and book signing of British artist Tim Braden, hosted by a friend. It was a civilized affair that meshed seamlessly with other casual gatherings in the parlors and with the dinner party crowd that amassed in the dining room. The inn has a gallery space and regularly installs art shows and hosts talks. The place feels very much like a gathering spot for locals and day-trippers, who can stop into the small restaurant for lunch or dinner, then retire to the living room with a nightcap and a game. I felt compelled to spend a few hours rifling through the library and then sitting with a stack of books on the upholstered fender near the fireplace. 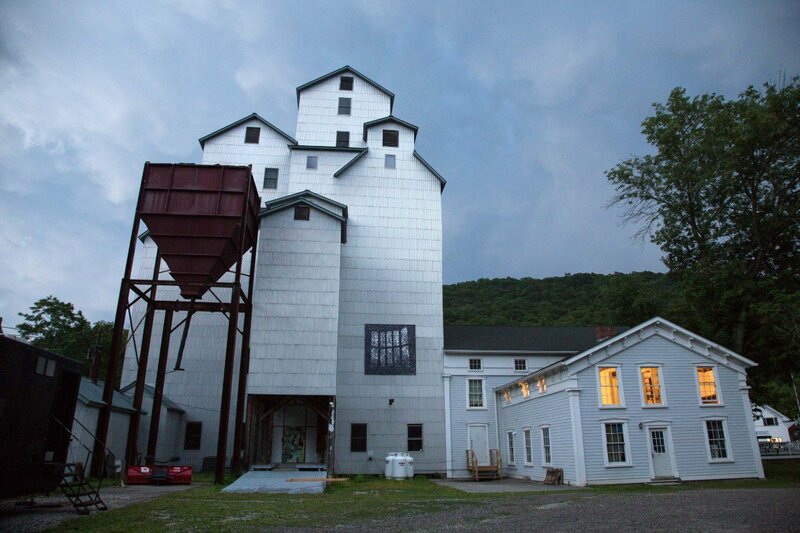 The seven-story Wassaic Project. Photo by Verónica González Mayoral. 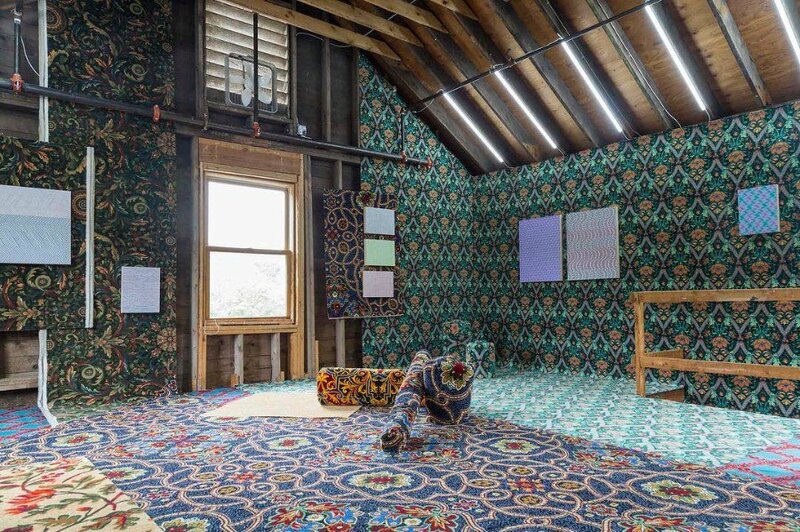 An installation in one of Wassaic Project's many rooms. Photo courtesy of Wassaic Project. 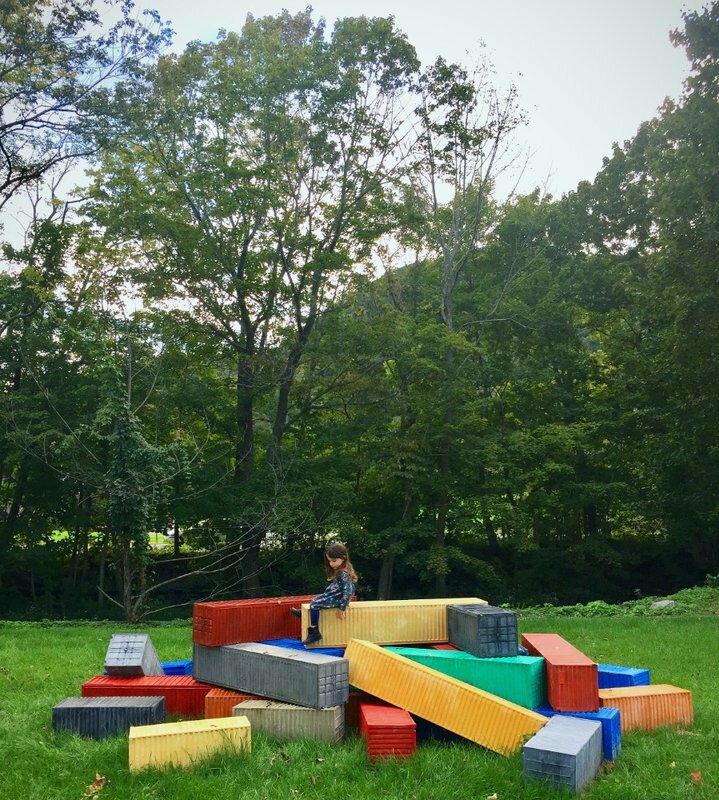 A sculpture on the lawn near Wassaic Project. Photo by Jeralyn Gerba. The top floor is dedicated to a crafting room for kids. Photo by Jeralyn Gerba. 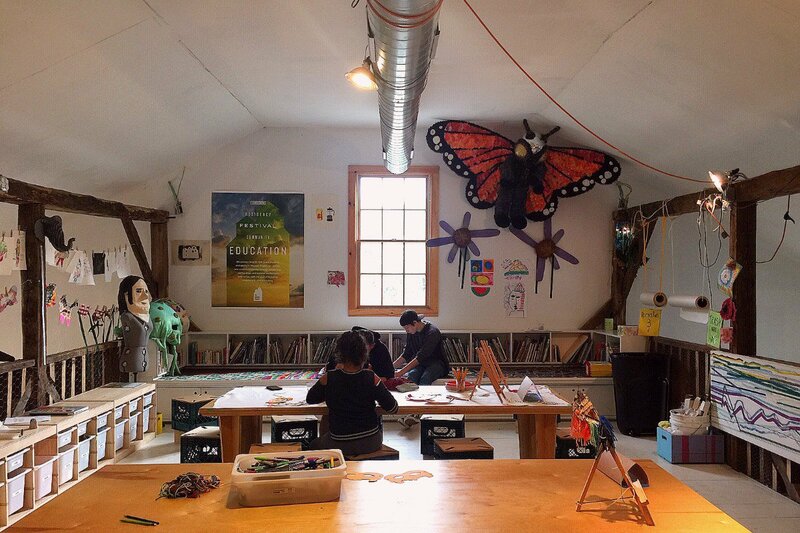 The understated intellectual tone at Troutbeck makes it a nice home base for exploring the local art scene, most specifically at , a super-funky, DIY art cooperative operating from a not-well-insulated grain mill in the nearby town of Wassaic (pop. 1500). Despite the seemingly random location, the multidisciplinary arts organization draws artists-in-residence year-round, and hosts showcases, festivals, a haunted Halloween house, and an annual (very popular) art parade. We stumbled upon a free kid’s crafting clubhouse on the top floor of the seven-story space and found rows upon rows of bins filled (and labeled) with crafting materials, tables set up with various projects for kids of all ages, and open-ended toys for building, imagining, and creating. We spent a good hour or two cutting, gluing, coloring, and chatting with other kids, curators, and two lovely art assistants who happily helped our kid create (and then clean up!) after a rousing session of finger painting. Across the way from the mill is a small print shop, bar, and pizzeria called , operated by the same folks. The pies, we were told, are created by an alumnus of Brooklyn’s beloved Roberta’s. The Lantern also hosts live music events and pop-up Sunday brunches. Architectural modernism at its finest. Photo courtesy of The Glass House. 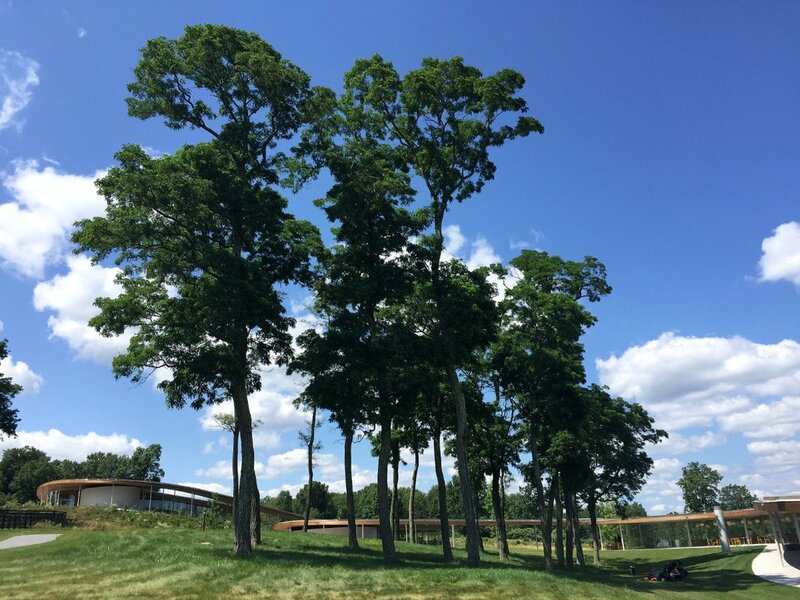 Grace Farms on a warm day. Photo by Jeralyn Gerba. The court at Grace Farms. Photo courtesy of Grace Farms. 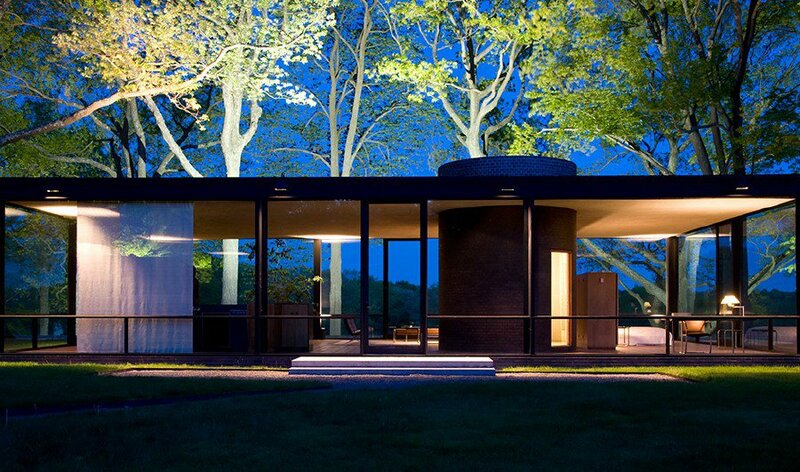 Break up the ride to and from Armenia with a stop at , designed by Philip Johnson as his own residence in the 1940s, in New Canaan, Connecticut. Tours, available from May through November, make their way through the main house, painting and sculpture galleries, and a one-mile walk over grassy paths. Advance reservations are required and kids under ten are not allowed. 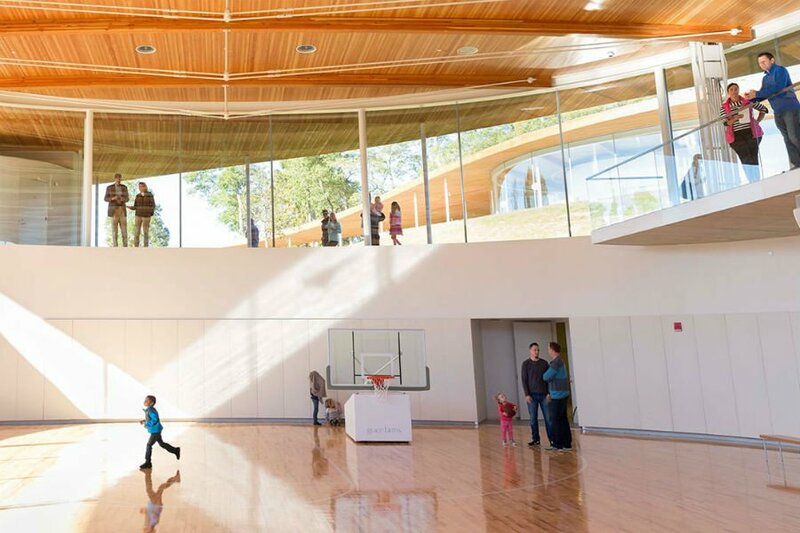 Fortunately, design junkies with smaller children can get their fix at nearby , a fascinating non-profit center on 80 acres of fields and woods punctuated by a $67-million-dollar building known as the River, a curvaceous structure built of steel, concrete, wood, and glass that meanders through the landscape. Built by acclaimed Tokyo-based firm Saana, the building is a thing of beauty that brings the outdoors in and the indoors out. 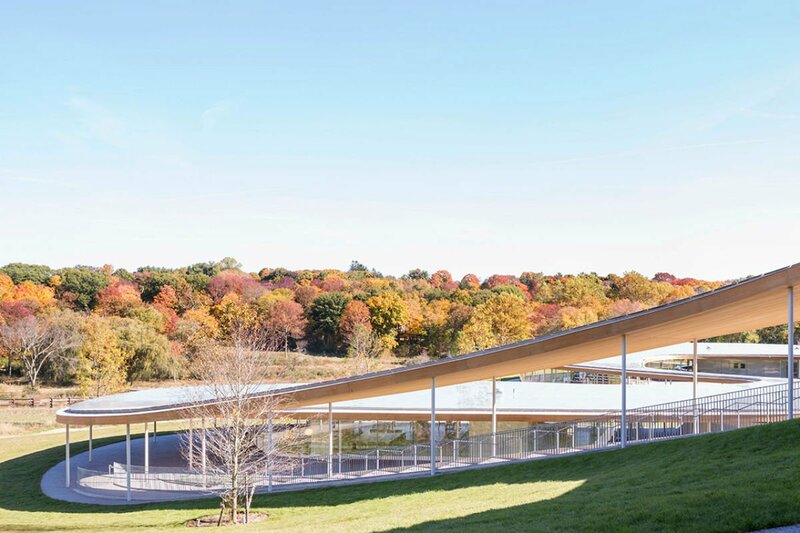 There’s a peaceful library, a bright cafe and tea pavilion, a craft center, a gymnasium, and a light-filled sanctuary/indoor amphitheater for programming that runs the gamut — philosophical, religious, scientific, nature-based, and social justice-oriented. It's free and open to the public six days a week and makes for a beautiful place to stop and stretch your legs any time of year. A car is best for exploring the area at your whim. Ubers are harder to come by, but taxi services can be arranged in advance. If traveling by train to Troutbeck, get off at the last stop on the Metro-North Harlem line. The ride is a little over two hours.